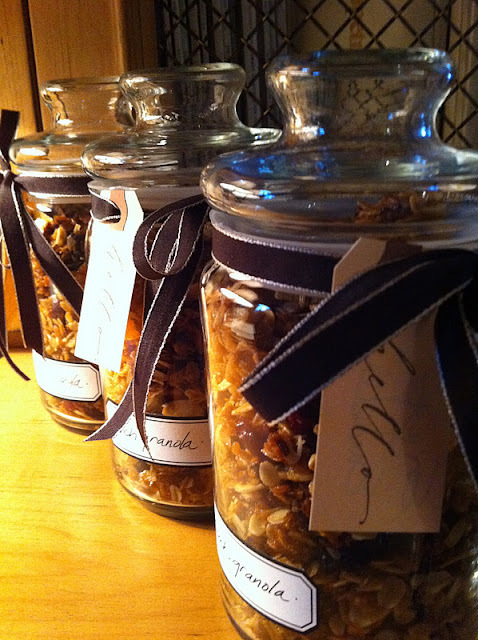 I would love to receive a gift like this - looks delicious and so lovely in those jars - would look stylish too in any kitchen! Yum! I love what's been cooking in your kitchen. 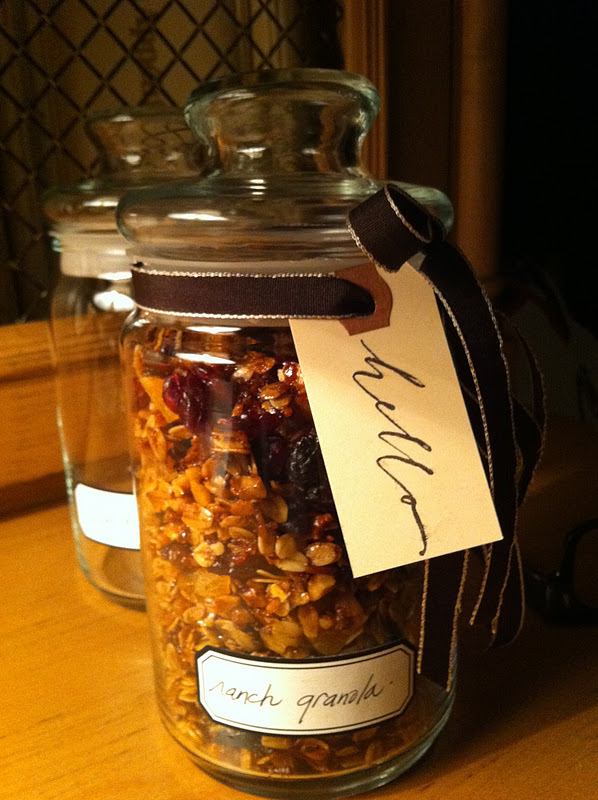 The jars of granola are so pretty with their little hello tags! i almost fell over by the title. Looks fabulously tasty - must try it hanks for the recipe. I am going to try this! Your packaging is perfection, of course! Wish I were on your gift list ! 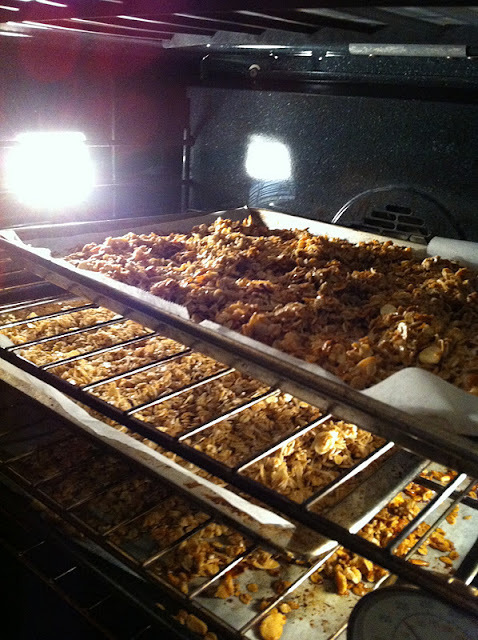 Your granola looks so fabulous. And BTW, thanks for the link to Besotted. So great. This is such a fantastic gift! And your labels look amazing! 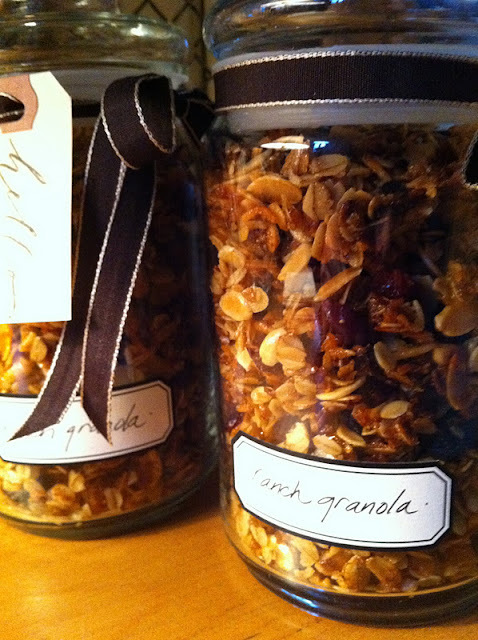 Love love how you have presented the granola...just gorgeous! Have just got back from camping by the river...thanks so much for comment re posts this week.